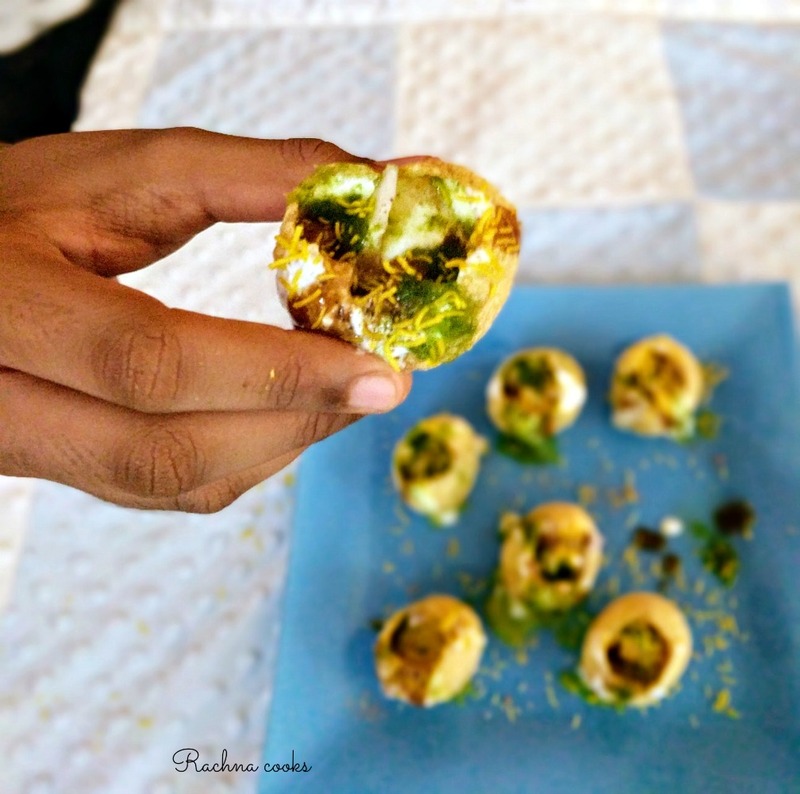 Dahi puri is tasty with tangy, sweet and spicy flavours. It is a popular street food or chaat in India. It is really easy to make at home. I promise you that it will be loved by your family and it is a perfect appetizer for parties. Just have everything ready and you can assemble it pretty quickly. 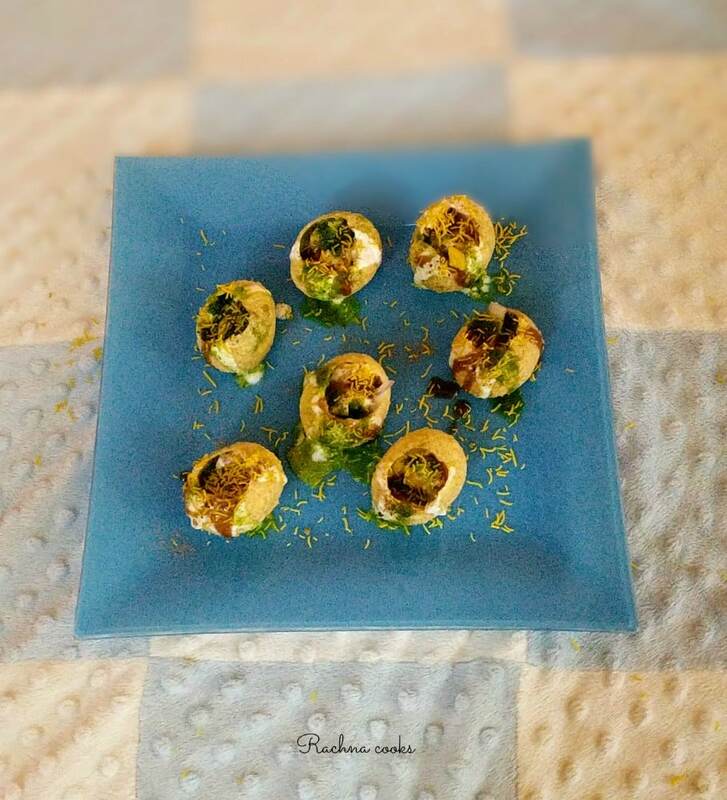 Follow my easy recipe for how to make dahi puri at home. 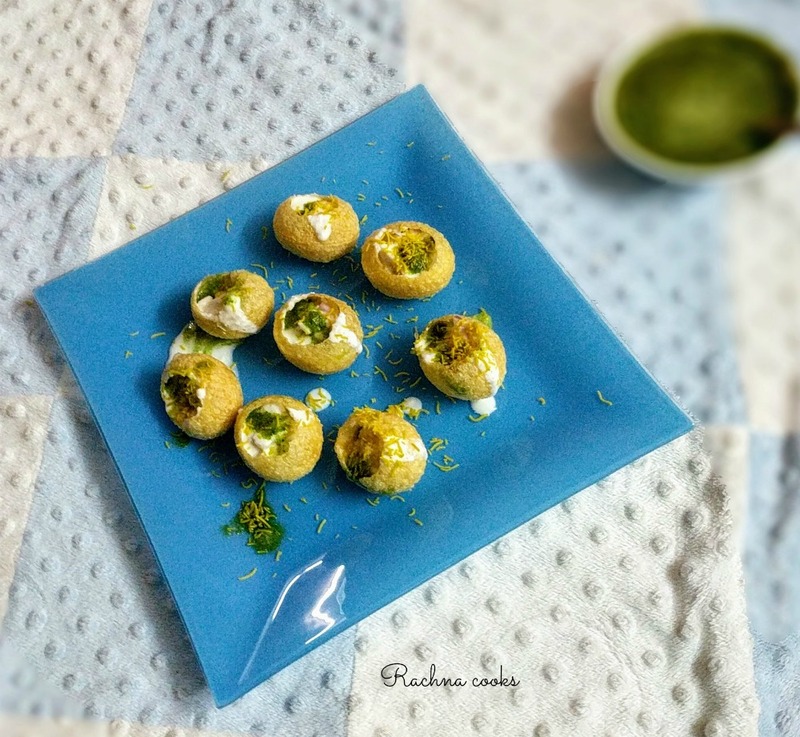 This is a super simple recipe of dahi puri that you can make at home with minimal effort. It will be a hit at a party or for a regular family day. I buy readymade puris. You can make them as well at home though that is time consuming. Keep all the veggies chopped and make the chutneys. You can also buy date and tamarind chutneys in the market if you don't wish to make them. Beat the curd and add black salt and sugar to it. Taste and add more salt if needed. It should be very slightly sweet. Make holes in the puris. Fill a little potato onion mixture in it. Now put in about a tbsp of beaten curd. Add the sweet and green chutney. Now sprinkle some sev on top and serve immediately. Your dahi puri is ready to serve. As soon as you assemble it, have it. You can't store it as the puris will get soggy. Adjust the chutneys as per your taste. You can do away with the sweet chutney if you don't like it. You can also add boiled sprouted black gram or moong sprouts to the filling if you like. So your delightful dahi puri is ready to consume. Enjoy your hearty delicious and clean chaat at home. If you like the recipe, do share it. Also let me know if you try it. Here’s the green chutney recipe that you can try for this dish. Do try out these other chaats: pani puri, dahi vada . Looks so delicious & tempting ! Oh that looks so delicious! I love pani puri, bhel puri and dahi puri…I think that’s what I’m looking forward to most when I visit India later this year! Yes, the chaats are a definite draw. That is so so tempting, Rachna! I will try this at home. may be ? Hey Parul. You should come home yaar. You and Soumya some day and I will cook something nice for you guys. I’d love to. As much as I would love to eat, the idea of spending relaxed time with you would be amazing. Some days I wonder if we could start kitty parties. ? This is the first thing I read today and now I’m salivating! It looks so delicious! You should have a chaat party at home and call all of us ? Yes, let’s plan a chaat party. You guys can come home. Let me know which Sunday you are free.